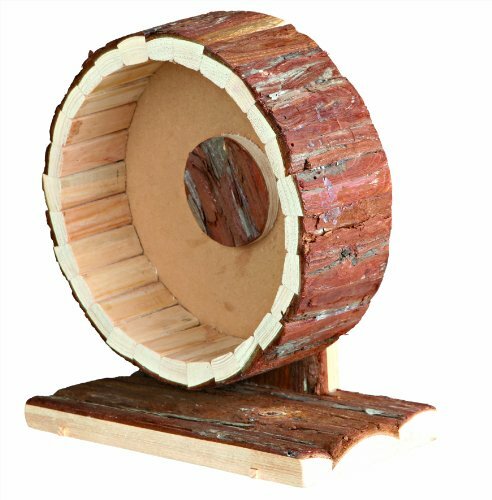 Made of natural wood, this high quality hamster wheel is sure to be a hit with your furry friend! 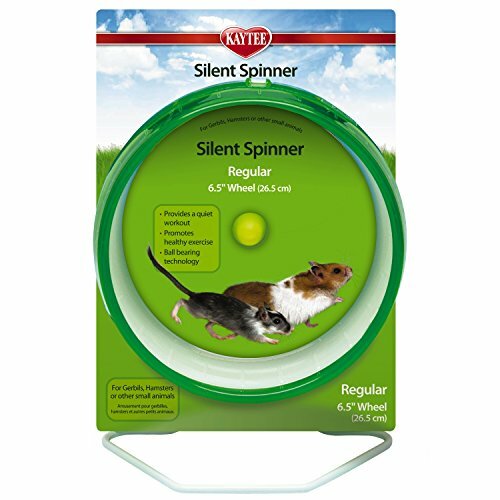 One of the newest additions to our wooden hamster wheel range, this beauty is tried, tested and loved by hamsters. 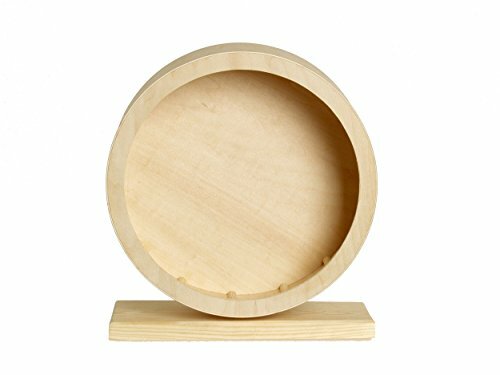 It's an all-natural wheel with an attractive wooden finish, making it a stylish addition to any cage. It sits on a solid base which gives the wheel great rigidity to prevent those over-eager hamsters from toppling it! The wheel is situated very close to the base meaning it's a doddle for your hamster to climb right in and start running. It's safety features are plentiful too - a solid running surface and covered wall means your hamster won't fly out or get it's little feet stuck. All round, this Karlie hamster wheel is safe and well built. Whilst it isn't the cheapest hamster wheel in the market it's easy to appreciate why it's popular. What's more...it's also very quiet!